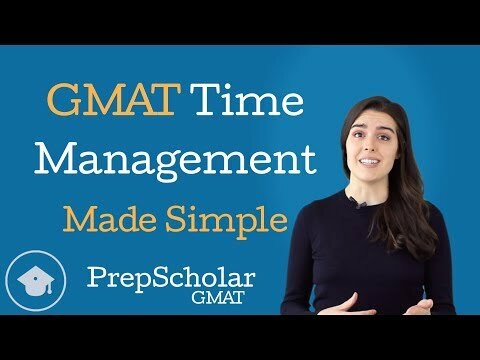 Break down GMAT time management by the numbers. If you’ve been sticking to a study plan and schedule, consider these ways to up your test day game. Learn everything you need to know about GMAT time, plus some tips on how to prep for this long exam. Remember, the GMAT is just the first step in a much larger life journey you’re embarking upon. Here are three strategies to boost your concentration levels. Learn how to choose the best GMAT program and instructor for you. Discover the benefits and drawbacks of the three primary study approaches. Nail your test anxiety so it doesn’t negatively impact your performance on a standardized test. Use these techniques to develop skills necessary for peak performance on test day. Here are three reasons why you should integrate exercise into your study regimen for the GMAT. Follow the three key tips below to draw on your mental, psychological, and intuitive strengths. Chill so you can work effectively and efficiently, and manifest your best score. Here’s a sample menu that can keep your mind and body functioning at their best for the day before, and the day of, your GMAT date. Learn how to manage your time across an entire section of the GMAT. Dive into per-question timing strategy on the GMAT.